As part of the lab work required for my Physics degree I created graphs to showcase the results and spot trends in the data. These graphs were normally scatter graphs, produced in Excel if the lab was equipped with a computer, hand-drawn if not. After joining DataConsulting my experience of visualisations quickly changed. The pen and paper was cast aside and I was introduced to the visualisation software Tableau and a related weekly challenge called ‘Makeover Monday’. Tableau is market leading visualisation software to visualise data, making it easier to understand and ultimately easier to quickly make informed business decisions. Every Monday a Tableau expert uploads a dataset and visualisation with potential for improvement; the aim is to improve this visualisation within an hour and it’s a great opportunity to learn new skills, both from trial and error and from the Tableau community. This is where I started my Tableau journey. After downloading the free software, ‘Tableau Public’ and a day of training by DataConsulting’s own Alex, I looked at my first Makeover Monday challenge ‘Make-up of UK Beauty’. Getting started with Tableau was simple enough and after an hour, I had my first Tableau visualisation. Although I was beginning to get to grips with the software, this first attempt wasn’t particularly focused as I tried packing in as much information as possible into the visualisation. For my next visualisation, I aimed to tell a story by only focusing on the relevant data. The next challenge coincided with the Olympic Games, looking at medal hauls. 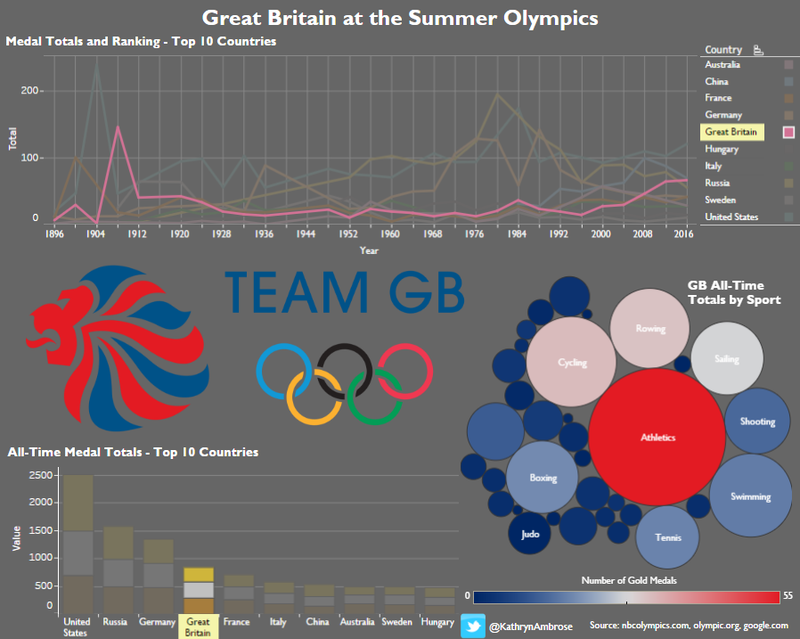 As Team GB kept winning medals and Olympic fever took hold, the visualisation moved beyond a simple medal count to examining Team GB’s strongest sports. Despite the success Team GB had at the Rio 2016 Olympic games, historically Great Britain’s strongest sport is actually athletics. You may have seen the final result in DataConsulting’s September Newsletter. To test develop my Tableau skills further (and in an attempt to win our Fantasy Football League) I created a Tableau Dashboard examining Fantasy Football data. 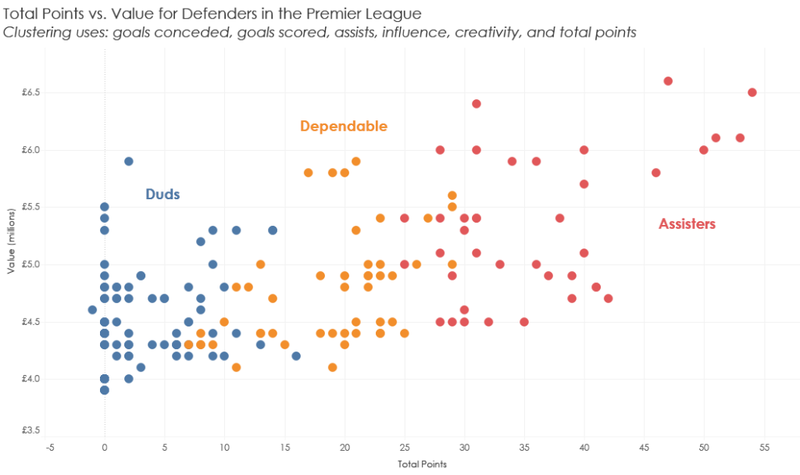 After plotting various graphs and trend lines, I discovered that in Fantasy Football the saves made by a goalkeeper are much more important than goals conceded and when deciding on a defender, you should pick one who is good at assisting goals or scoring them. Sadly, this has not helped my position in the DataConsulting league as I’m stuck in last place. My Tableau skills are improving though and I’ve been testing out new features like clustering and joining data from Google Sheets. 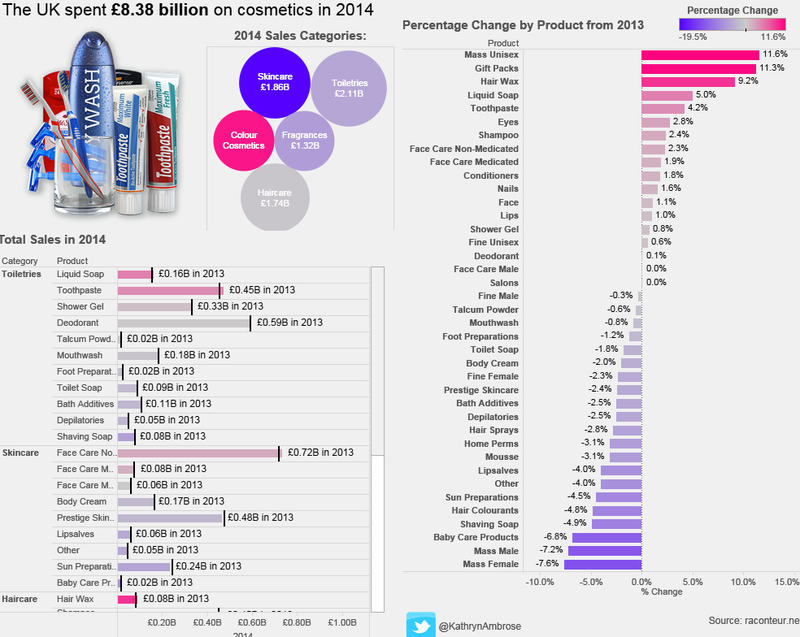 With each Makeover Monday Challenge and each Tableau visualisation, I’ve learnt a new skill, whether it’s something simple like creating filters on Tableau Dashboards to using Level of Detail Expressions to drill down into the data. I even attempted to use SQL to create some custom radial graphs but I need a little more practice to complete that particular challenge. As Tableau has such a large community, if you have an idea and are not sure how to implement it, there’s probably someone out there who can point you in the right direction. I’m looking forward to future Tableau challenges, whether they come from Makeover Monday or from elsewhere and I’m looking forward to helping our customers gain more insight from their data through data visualisation.